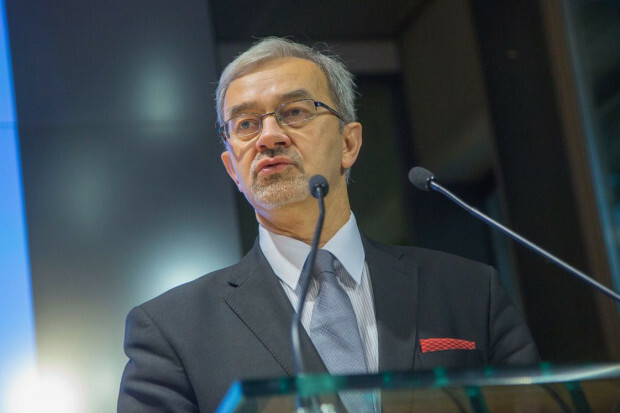 Even hard Brexit does not pose a threat to the 3 percent GDP growth assumed in the draft budget - says Jerzy Kwiecinski, Minister of Investment and Development. Brexit will mostly affect the Polish food industry. Financial services as well as electromechanical and automotive industries will also be affected. Brexit is a significantly greater threat to the British economy than to the European economy. What will happen to the EU budget in case of hard Brexit. Is the worst-case scenario, i.e. hard Brexit - leaving the European Union by the United Kingdom without an agreement - a threat to the 3 percent GDP growth assumed in the Polish draft budget? There is no such threat. All possible scenarios have been calculated during the creation of the budget. Brexit, however, will not go unnoticed by the Polish economy. Which industries can experience the worst scenario? If we were really dealing with a no-deal Brexit, it would be felt primarily by the food industry. We are a large food exporter to the Islands, so there are large quantities of goods that will have to be subjected to various inspections and will have to obtain different certificates. There will also be a problem of customs duties. Another industry that will suffer the negative consequences of Brexit will be the electromechanical industry, which exports its products to Great Britain. Such a scenario may be a problem also for the automotive industry. Financial services will also suffer. After all, the entire European Union benefited from London as a financial centre. Should we also take into account the indirect effect of Brexit, i.e. not only the problems related to direct trade, but also the impact of this event on the European economy to which Poland is attached? I often repeat that Brexit is a much greater threat to the British economy than to the European economy. The European economy will partially fill the gap through the European Union and partially through external markets. Great Britain has a much bigger problem. It will be very difficult to switch to new markets in such a short time. What will happen to the EU budget in case of hard Brexit? After all, the British will stop contributing to the budget. Is there a chance to increase the contributions made by other payers, or will it be necessary to cut investments at the end of the current budget perspective? As far as the current perspective is concerned, in case of hard Brexit, there would be a problem of compensating for this gap through additional contributions from member states. It seems to me that the chances of such a solution would be quite big. If the Union has a plan, it implements it. Since it concerns the current financial perspective, which was already planned and implemented, compensating for the loss of the British contribution seems quite likely. Let us remind you that this is a perspective that ends in 2020 when it comes to commitments, and in 2023 when it comes to payments. The next budgetary perspective of the European Union that is currently under negotiation is a completely different issue. Today, it is almost certain that there is an agreement between all Member States to increase their contributions. The only question is whether this solution will fully compensate for the loss of the British contribution. In fact, the negotiations will concern this topic.